We need to go back more than ever. 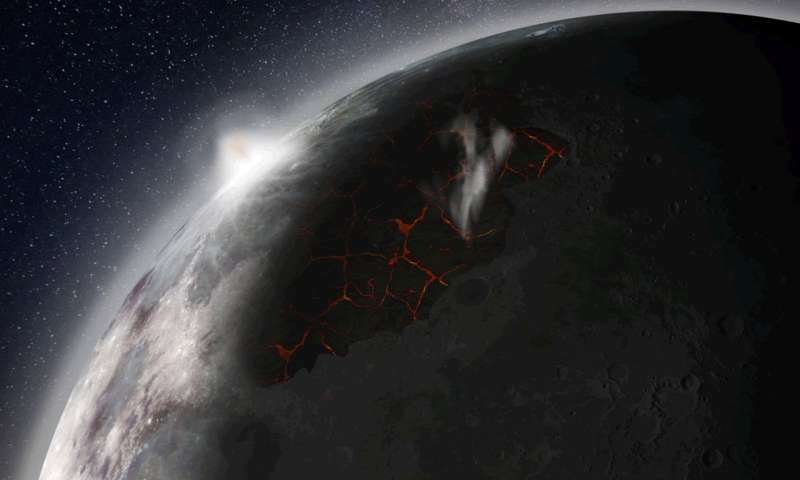 New research shows that our Moon once had an atmosphere 3 to 4 billion years ago. It formed when volcanic eruptions rocked the ancient satellite, propelling gases above its surface too rapidly for them to seep into space. The surface of the Moon is peppered with impact basins filled with volcanic basalt. These basalt plains, called maria, were formed when plumes of magma from inside the Moon erupted to the surface, creating lava flows. Astronauts from the Apollo missions brought back samples from the maria to Earth, and we now know that the lava flows contained carbon monoxide and other gas components, sulfur, and even the building blocks of water. The team used the samples to calculate how much gas rose and accumulated to form the transient atmosphere. They found that the volcanic activity peaked about 3.5 billion years ago, which was when the atmosphere was at its thickest. Once it formed, it persisted for around 70 million years before it was stripped away and lost in space. During the period when the Moon had an atmosphere, it was almost three times closer to Earth, and therefore would have appeared much bigger in the sky. This new information has important implications for future astronauts, planned lunar missions and space exploration. The research suggests that volatiles from the atmosphere may have been trapped near the lunar poles in cold, permanently shadowed areas. 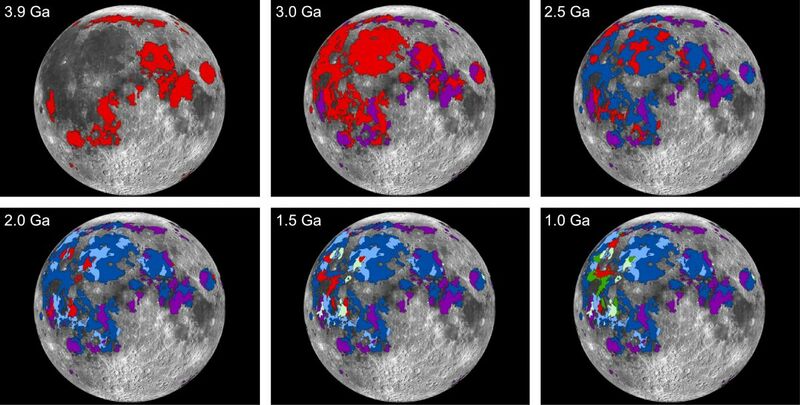 If this is true, there may already be a source of ice on the Moon that astronauts and colonists can use for drinking water, growing food, and other needs. Icy deposits stocked with captured volatiles could also provide fuel and air for both lunar surface operations and even missions beyond the Moon. And whatever already exists on the Moon won’t need to be ported from Earth — a tremendous advantage given the expense of carrying cargo into space.